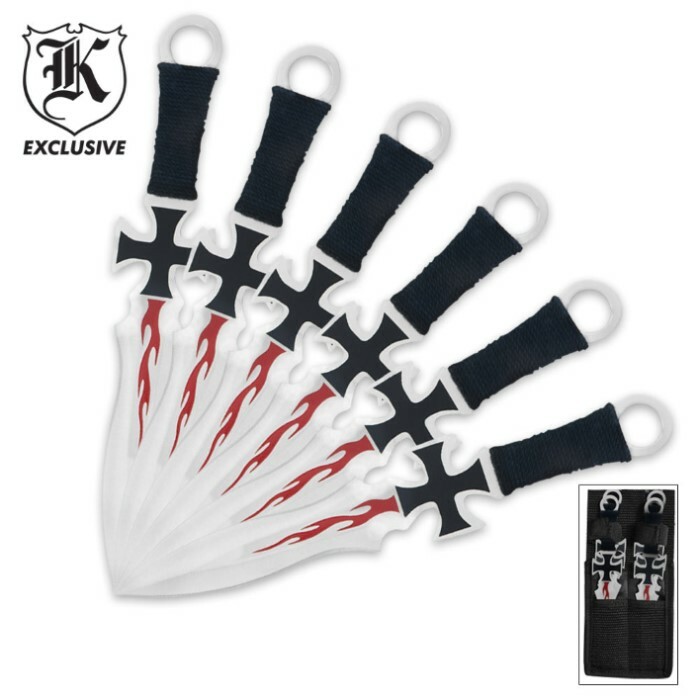 Spice up your kunai throwing knife collection with these Chopper inspired blades! Black cross and red flame artwork is screen printed directly to the satin finished blade. Each knife is forged from solid stainless steel with cord wrapped handle. 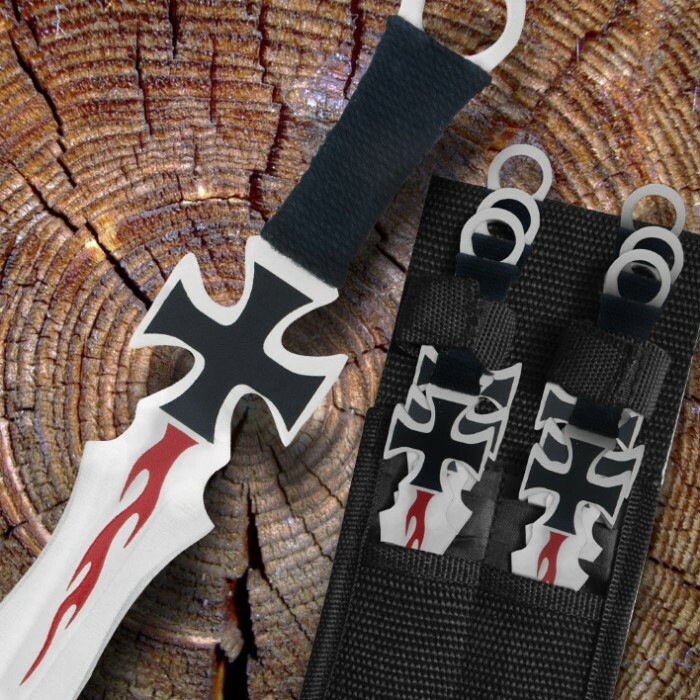 Includes black nylon sheath with belt loop. Each knife measures 6 1/2 in. overall. These are very poorly made, I bought 12 and broke 5 on the first throw for each. these are poorly crafted, I threw one and it snapped into two pieces. not worth buying.